Profitez de vacances merveilleuses et inoubliables dans la belle Wildwood Crest, dans le New Jersey. Ici, à l'arrêt de transport, vous remarquerez la plage juste à quelques pas de l'hôtel permet une vue magnifique sur l'océan et un accès facile! Vous trouverez des restaurants de classe mondiale, la vie nocturne et des divertissements pendant vos vacances à Wildwood Crest, dans le New Jersey. 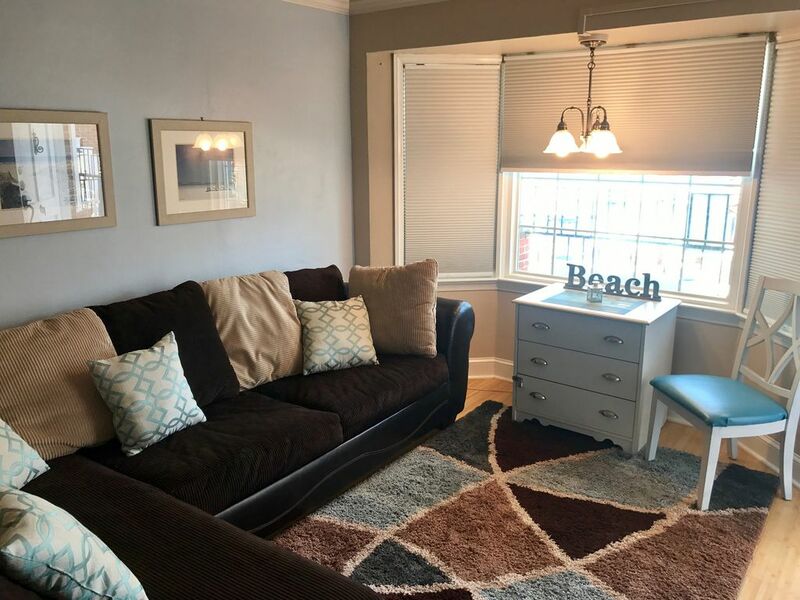 Avoir un grand temps sur vos vacances au niveau du chariot d'arrêt Condominiums à Wildwood Crest! We absolutely loved out stay here! The pool is immaculate and its almost on the beach. Our room was new, clean and modern. We had everything we needed and will definitely be returning! Steven was extremely easy to work with and answered all my questions fast! Very clean and close to beach! Great room. Clean. Had everthing we needed for a weekend stay. Right on the beach and minutes from the Boardwalk and Cape May. Great place to stay , convenient to everything!!!! Wishing we could start our vacation all over again ! The Carriage Stop was all we could have asked for and more. Right next to the beach, nice pool, clean room with all the amenities and best of all within walking distance of many great restaurants. My car was parked for most of the week and that's just fine with me. Easy check in and out is a big plus as far as we're concerned. Can't say enough about the place and will definitely recommend it to friends. If my girlfriend had another week this summer we would have come back down. Looking forward to coming back next year. Thanks Steve for having such a wonderful place for us to spend our vacation.t Don't change a thing! We had a nice stay at the carriage stop. The condo & outside was well kept. We had a wonderful time in this rental and would gladly return next year! The owner is responsive and very nice to deal with. The location was ideal for us with pool, beach and parking spot. And it was a great price for the amenities. My only critique is that it would be nice to update the pull out mattress since it was a little springy and uneven but my kids did not seem to mind and it would not stop me from returning. Thanks again for a great vacation stay!!! * Arrêt de tram à la promenade et excursions Atlantic City. * A proximité Sunset Bay avec magnifiques couchers de soleil, le canotage, dîner-croisière, location de scooter des mers, de la pêche / crabe et des dauphins Tours. * 10 minutes en voiture de la ville historique de Cape May!